It’s been a year since I wrote in Claire’s blog. This post is lengthy, so if you are still interested in reading about her updates, you may want to grab a cup of coffee or your favorite beverage! 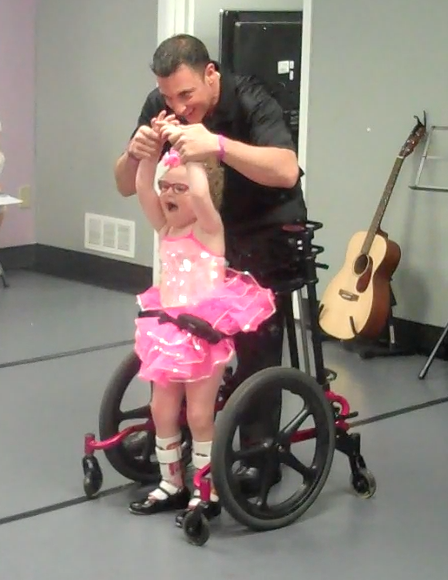 In physical therapy, Claire continues to work on walking. She has good days and bad days. She receives botox in her legs every few months to try and loosen those muscles because they get very tight. She’s grown 3 inches in the past year. 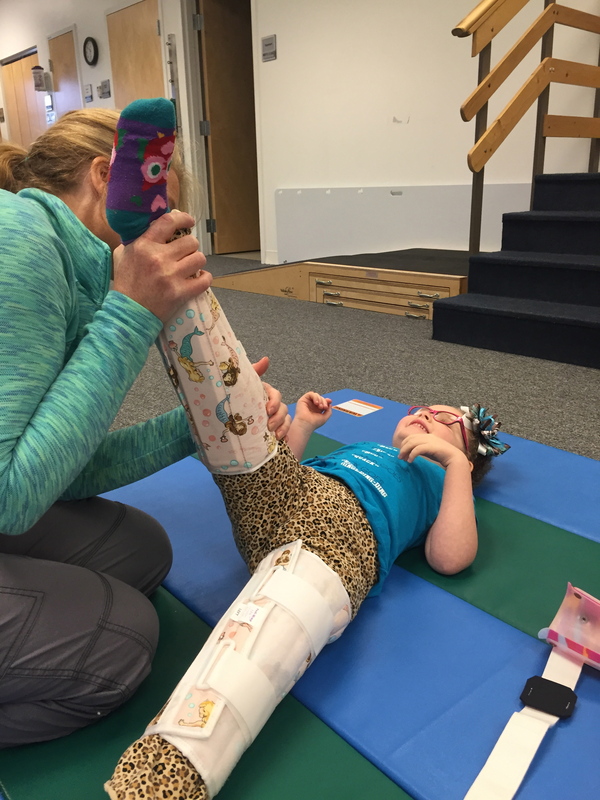 She’s received new AFO (ankle, foot orthotic) braces, and needs to now wear night braces along with knee immobilizers on both legs when she sleeps, and at points throughout the day. Doctors have checked her spine to see if it’s starting to curve. Scoliosis occurs in 75% of Rett girls before the age of 15. So far, no concerns on this end. Stretching Claire’s legs with her knee immobilizers. Because Claire has gotten bigger, she’s having a harder time rolling over while in bed. A few months ago, she had gotten “sick” at some point in the night, but she didn’t make any noise. Sean and I had no idea she needed our help. In the morning when I went to get her up, she was covered in vomit. Obviously she couldn’t call out to us to let us know, but now due to her increased physical challenges, she was stuck and unable to move away from the vomit or reposition herself. This broke my heart. After this incidence, my mom helped me come up with an idea to velcro a “talk button” on a small pillow next to where Claire sleeps. If she needs us at night, she now “calls” us. If she presses the button, it says “Mom, Dad!” and although it’s not perfect because sometimes she still has a hard time accessing the button, it helps bring a little more peace to our minds. As I mentioned before, Claire has grown a lot this past year. It’s not easy for me to carry her up and down the stairs anymore, and lift her in general. All transfers are tricky; I’m afraid of getting her leg caught or hurting her if I slip in some way. We have reached the point where we need to make some decisions: either we make some modifications to our existing home to make it handicap/ wheelchair accessible, or we move. We also need to modify our van so we can get Claire safely in and out of the car. This may include getting a specific chair that swings out of the van for the actual transfer, or getting a wheelchair lift installed. Claire’s occupational therapist has worked very hard to create a “sensory buffet” for us to incorporate throughout each day. Claire can become unregulated easily, and because of this, she requires tools to wake her system up, calm her down, or provide other means of sensory input to help whatever the issue is. I also now use essential oils to help regulate Claire if needed. 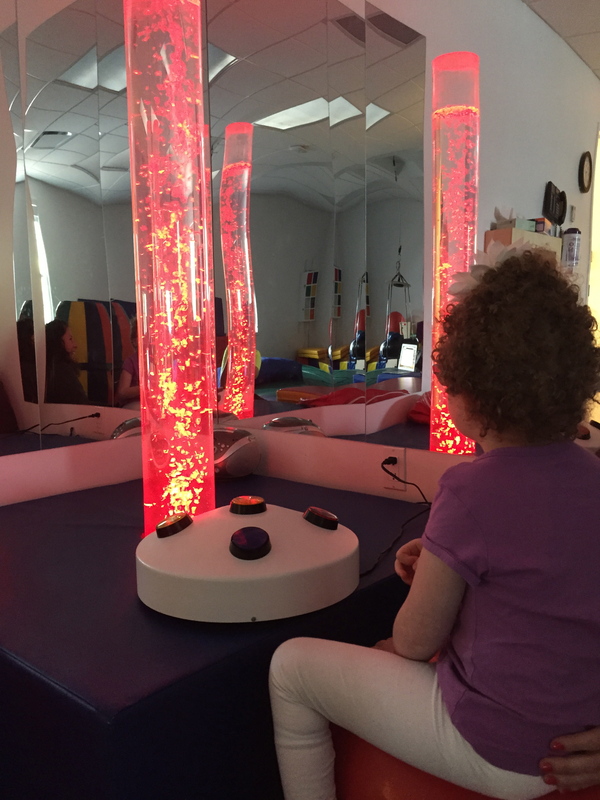 The bubble tube helps Claire reorganize her senses. 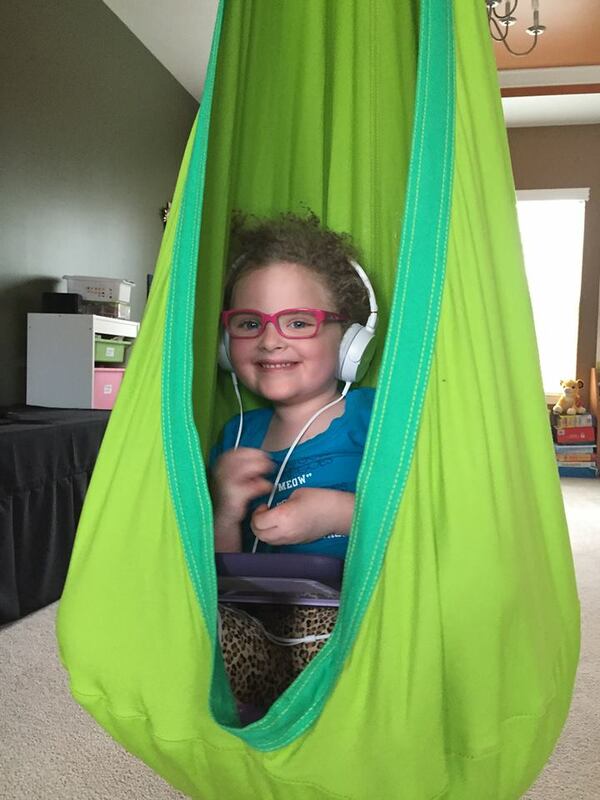 Claire loves to listen to her music while being in her cuddle swing. With regards to eating, Claire lost the ability to self-feed completely but she has gained the ability to drink from certain types of straws! 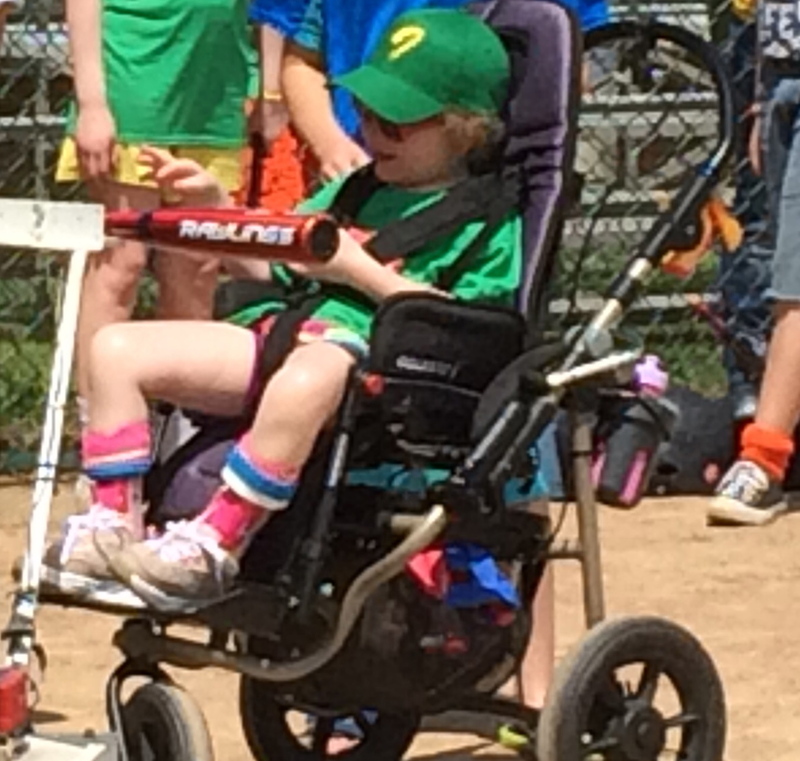 With occupational therapy, one of the biggest goals is to try and give Claire as much independence as possible. Now with Rett, because she relies on others for everything, we need to get creative in thinking of solutions to achieve whatever task we are trying to get her to accomplish. Some examples include programming a talk button so when she presses it, she can lead the family in meal time prayer. Or, if we are celebrating a birthday, programming her talk button so she can lead others in singing happy birthday. It’s important to give her a purpose and she has to do chores like the boys. Examples of her chores include wearing a sock on her hand and dusting surfaces that she can reach while being in her kidwalk, and having an adult help move her hands back and forth. Or, Claire is responsible some days for checking the mail. She needs to wear a backpack and practice walking down the driveway towards the mailbox. Once she gets there, with the help of an adult, she opens the mailbox, puts the mail in her backpack, and walks back to the house. Claire’s occupational therapist is remarkable in her field; we are lucky that she has worked with Claire since Claire was 15 months old. Swimming is one of Claire’s favorite activities of all time. Her entire body relaxes when she’s in the water and her smile is huge! 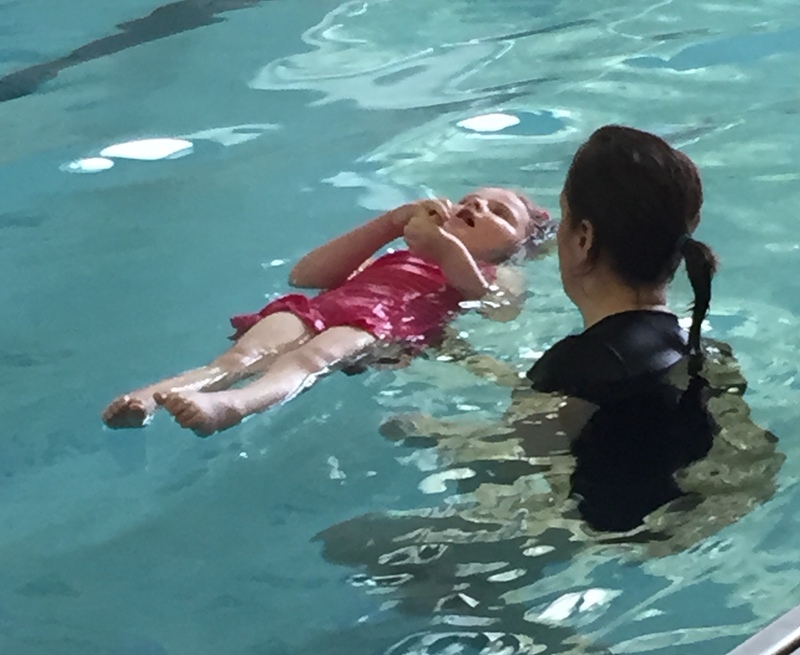 Along with doing their regular stretches and exercises, Claire’s aquatic therapist has been working on dunking Claire into the water little by little, along with getting Claire to tread water with as little support as possible. One long term goal we have for the house is to get a pool so Claire can feel the freedom she gets from being in the water… not to mention how good it is from a therapeutic standpoint. Claire floating on her back with just the support of one finger underneath her. Because Claire has lost almost all control and use of her hands, it was getting very difficult for Claire to access her voice output device accurately; she was getting very frustrated. Last summer, Claire got an eye gaze attachment that goes on her existing voice output device. 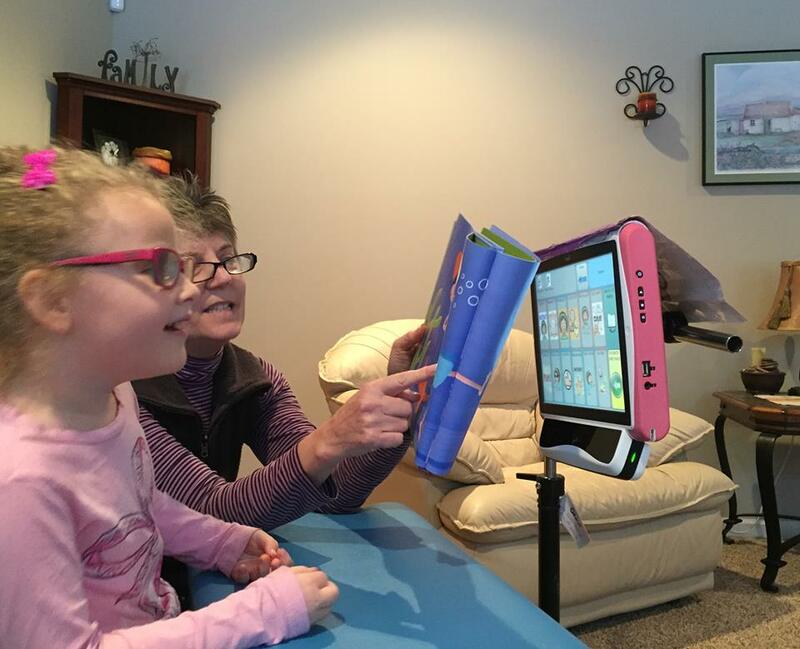 This eye gaze technology gives Claire a voice by reading her pupils. When Claire looks at the button (aka: word) that she wants to “say” the eye gaze picks up on where Claire is looking, and selects that word, speaking the word so others can hear. Learning symbols and the eye gaze technology is truly like learning a new language. It takes a lot of practice, consistency and patience. 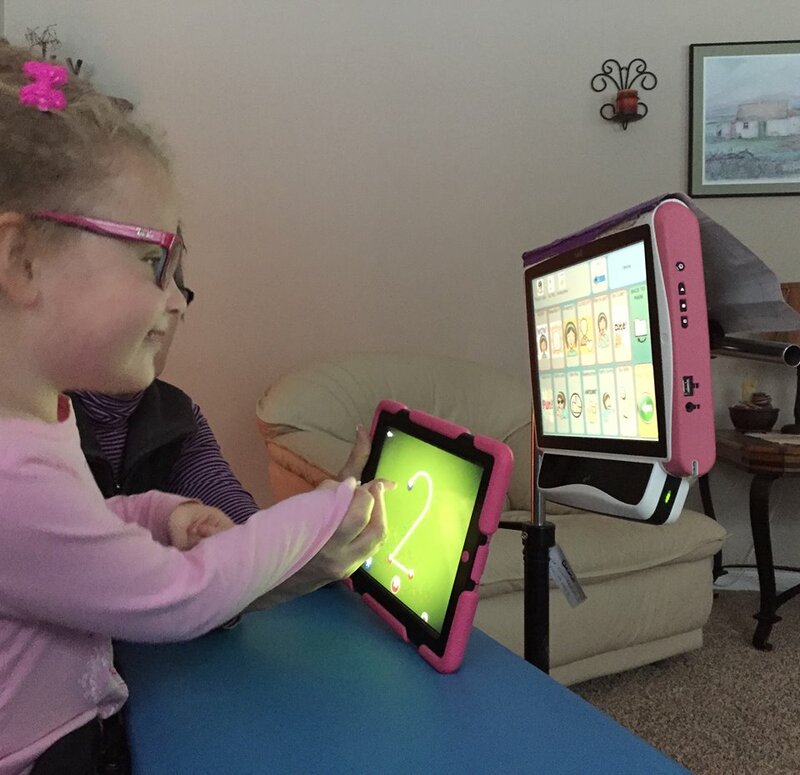 Claire relies on others to make sure her device is on the correct page, (she’s not at the point yet where she can truly navigate around herself) in the correct position, working correctly, and turned up so others can hear it. If she’s on a page that she isn’t as comfortable with, she relies on others to press the buttons when they talk to her (aka: called “modeling”) so Claire can learn what the icon pictures represent and get used to it. A couple months ago, the screen on Claire’s device cracked. (Not good!) We are in the process of repairing it, so we’ve gone a bit backward in her overall use of the machine because currently, it cannot be used. We are also in the process of getting a loaner device that we can use in the interim. It’s a process that doesn’t happen overnight. 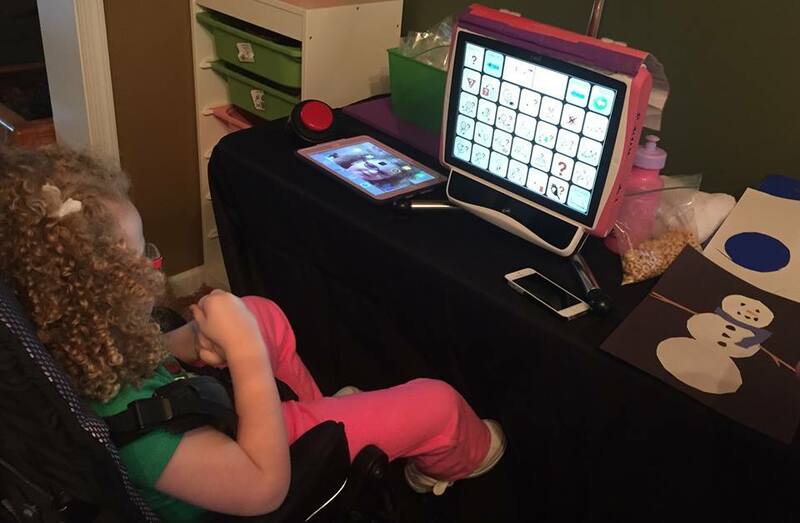 Looking on the bright side of things though, when a high tech device like this breaks, you need to go back to the basics and ask yourself, “how can Claire communicate without her Tobii device?” Claire really misses her device; you can just tell. But without it, those around her need to use lower tech solutions so Claire’s needs, wants and thoughts can still be understood. Claire using eye gaze to talk. 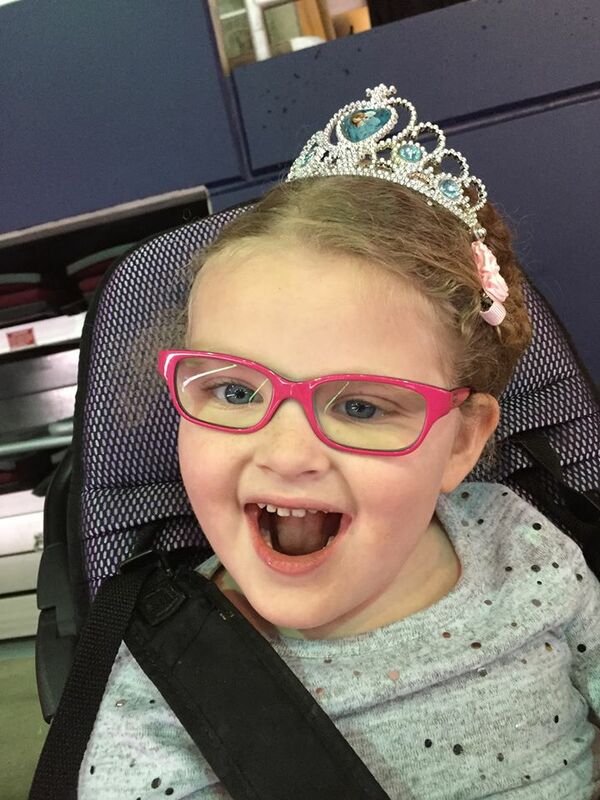 We have less than a month to get Claire’s talker fixed (a little nervous about this) because Claire was accepted into an AAC camp in Pittsburgh at the end of July. It’s an “I Can Talk” camp, and it is open to 20 campers throughout the U.S. The application process was intense and lengthy, and we are so excited that she was picked to attend. 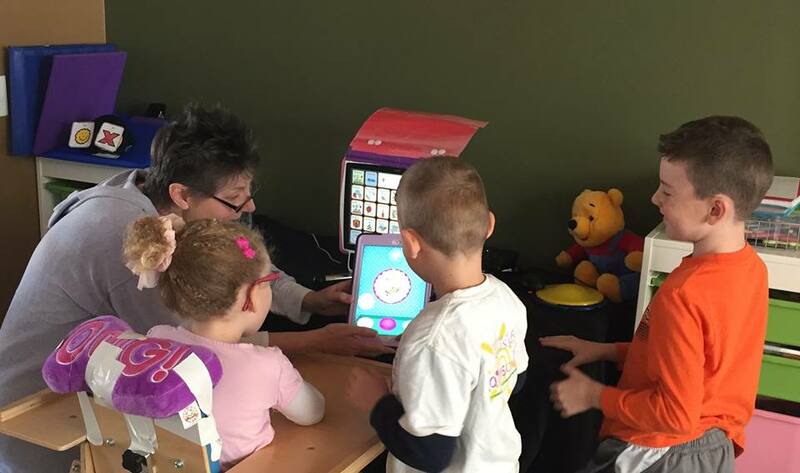 All campers are nonverbal and rely on a device to help them speak. 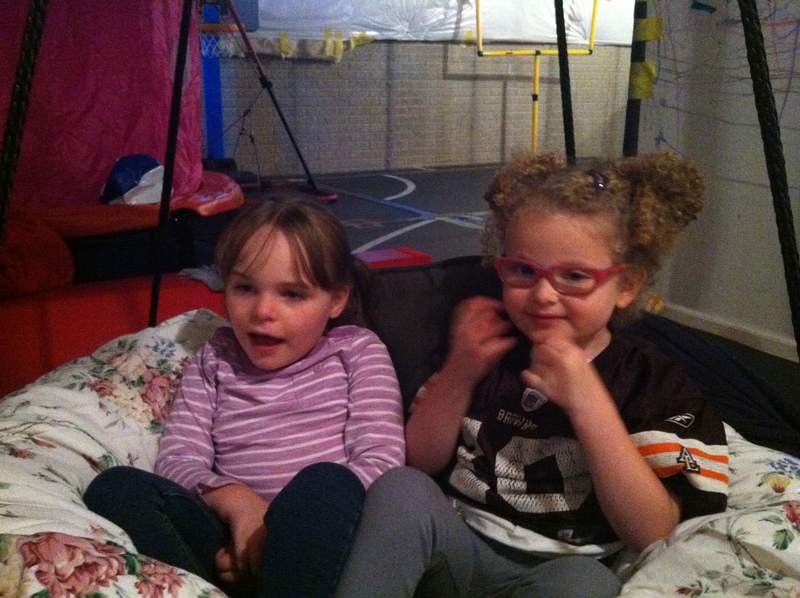 Claire and I will be attending with Claire’s best friend, Gabby, along with Gabby’s mom Sara for a few days and nights. The agenda is super intense, not only for the girls, but for us moms. (What? Haha!!) I’m praying for a good outcome as this is a big deal for us, not to mention pricey. We will be sharing joining hotel rooms again (we did this last year when we attended the Pittsburgh Rett Strollathon together) and it will be so much fun. It is so awesome seeing Gabby and Claire together. Even though we live about six hours apart, we try and get together as much as possible. 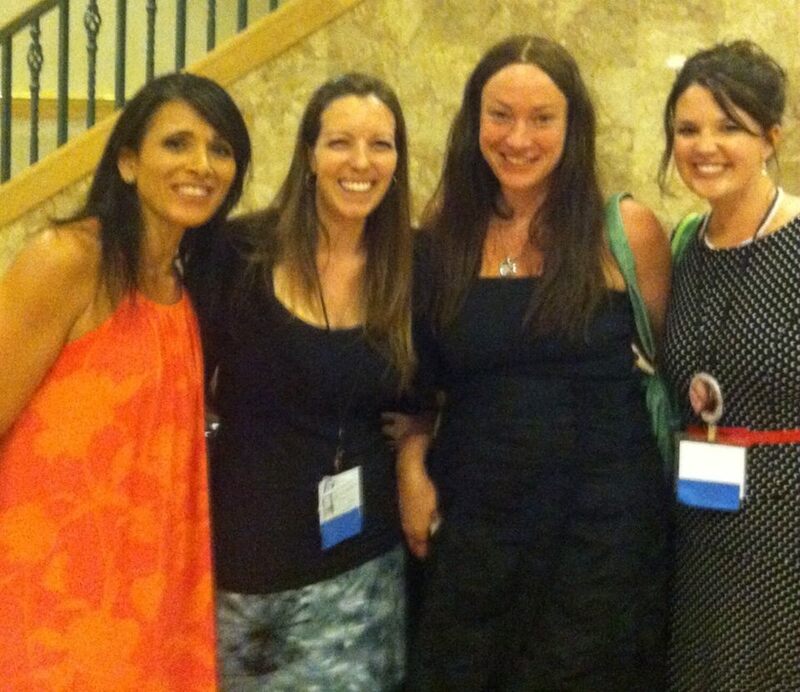 I met Gabby and Sara at a Rett Conference in Washington D.C. last June. The second we met, we clicked. Since then, aside from meeting up for the Pennsylvania Strollathon, they came to Cleveland this past October for the Claire’s Crusade Reverse Rett Raffle, and then we attended the Cleveland Blue Sky Rett Event the next day. We absolutely love Gabby and Sara and are so very thankful for the friendship that has developed this past year between us! At Pennsylvania Rett Syndrome Strollathon. 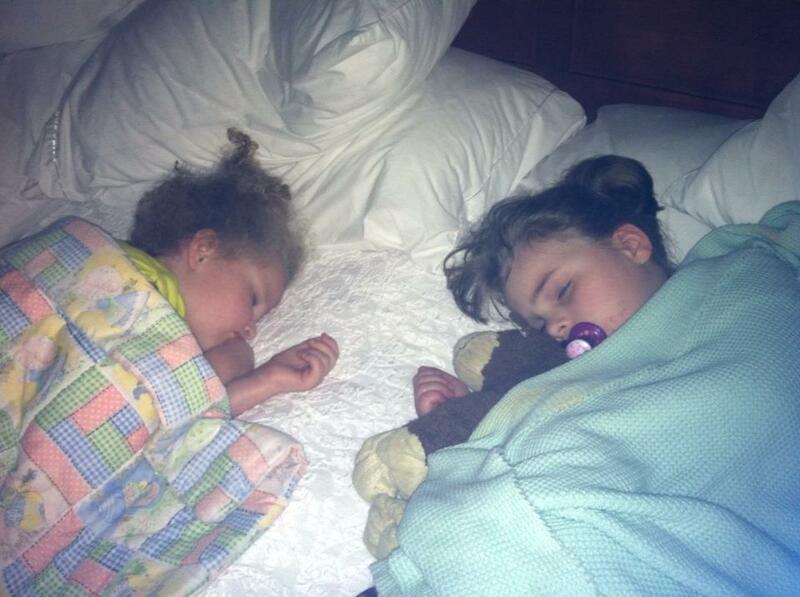 Claire’s first friend sleepover in Pittsburgh with Gabby. Gabby came to visit us in October for the Claire’s Crusade Reverse Rett Raffle, followed by the Cleveland Blue Sky Event. Here, they are enjoying the movement from Claire’s platform swing. 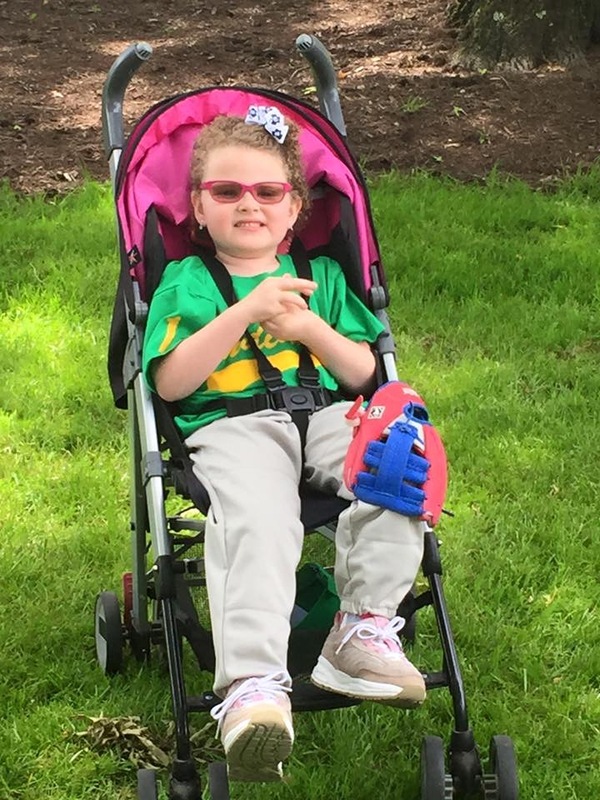 The other activities that Claire enjoys throughout her week include music therapy, adaptive dance (she just had her first recital; click here to watch: https://youtu.be/kVJpajuswS4) and now baseball! 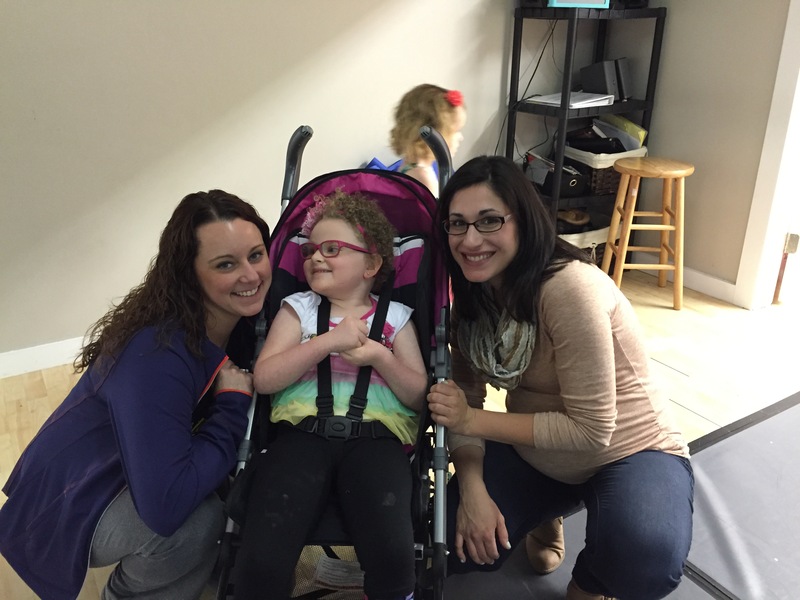 Claire with her dance teacher and music therapist… she loves them! 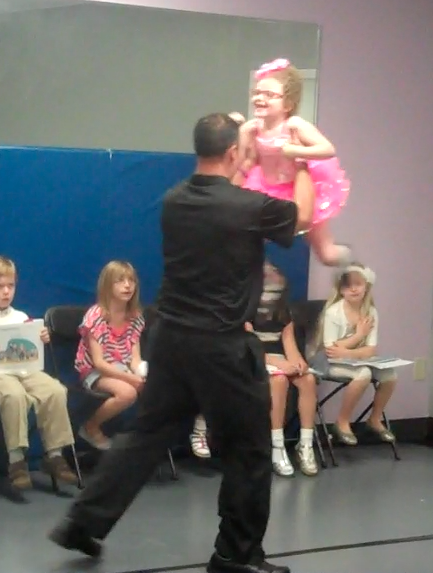 Claire practicing her moves with her dance partner, Dad! Claire getting ready to bat. She presses a button, which will make the bat swing. Claire has always required 24-7 hands on care, but now, due to the more medically complex issues that have developed this past year, she now needs an in home nurse during certain approved hours. This has been such a godsend. 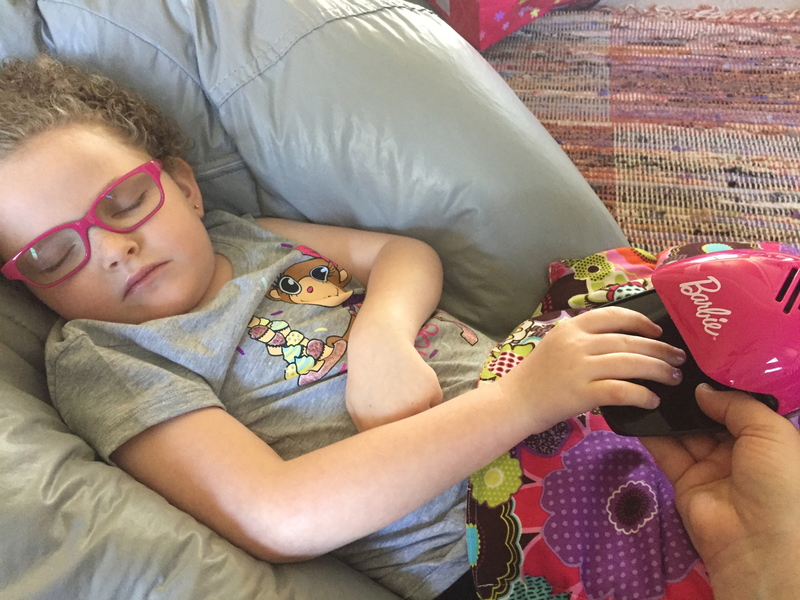 In addition to helping Claire with her home therapy program, they help treat Claire medically given whatever the need may be – either seizure related, if she requires suctioning, breathing treatments, administering of medications throughout the day, etc. We are very thankful for this service because it allows me to leave the house and get the boys to where they need to be, help the boys with their homework, go grocery shopping, run errands, and do my normal mom responsibilities, knowing Claire is in good hands and is getting the 1:1 medical attention she requires. I’ve looked into getting back into the workforce myself and actually had a few offers to do so. However, in order to do this, we will need more nursing hours along with a transportation service because her nurses cannot take her to school or therapies. I trust that when the time is right, I will be able to go back. Until then, I need to remind myself that what I’m doing today is what God intends. It’s important for Claire to get her heart checked out via EKG and echo. So far no issues here, and that’s great news! 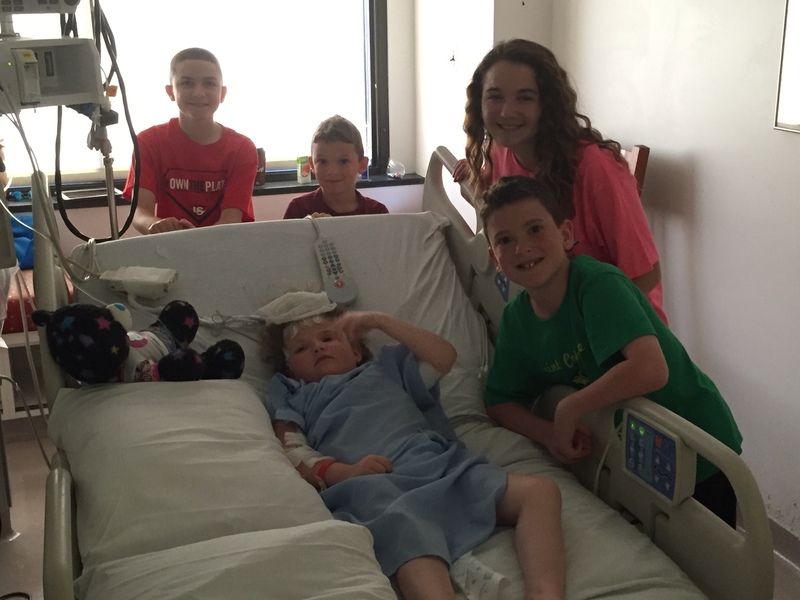 Last week, Claire had 10 seizures within a 4 hour period. This isn’t typical for her. The doctor told us to immediately go to the ER. 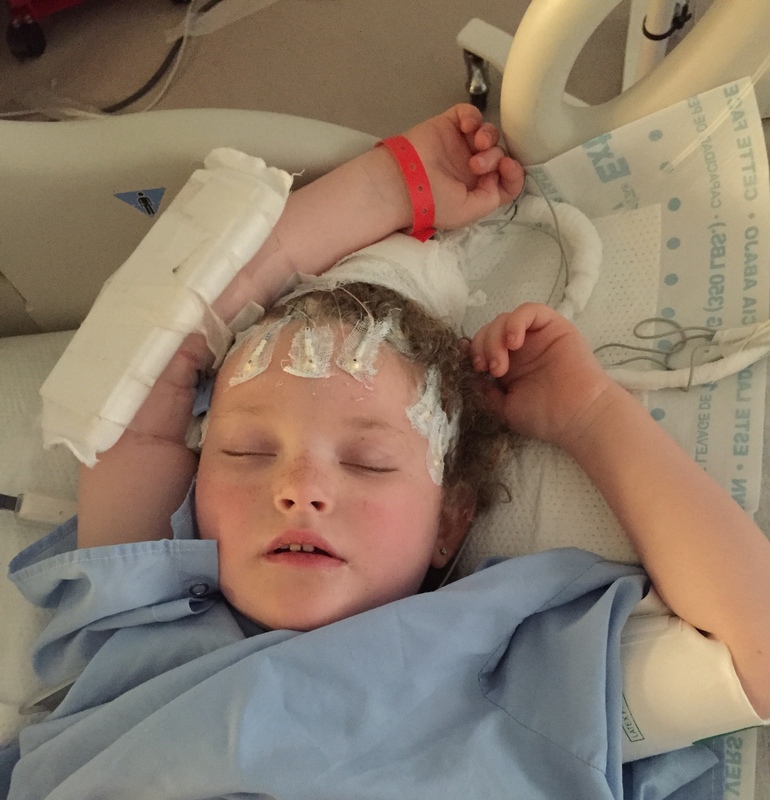 Once we got there, she had more seizures, followed by an increase in temperature. Within the hour of being at the ER, we were transported (our first ambulance ride) to the ICU at main campus and stayed there for a few days. 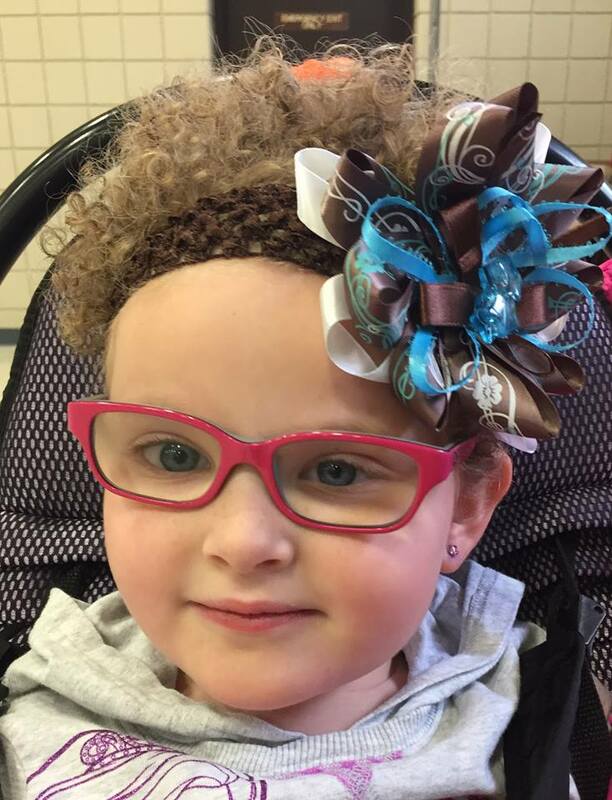 The doctors think Claire developed a viral infection, which caused the increase of seizures, along with a new type of seizure we haven’t seen before. The cheering committee (Claire’s brothers and cousins) came to visit! This is the subject that I absolutely struggle with providing updates on. This is the subject that is the most near and dear to my heart and where the majority of my energy is spent. Claire attended her first year at school (2013-2014) at our local district special needs preschool program, which incorporated peer models in the classroom. 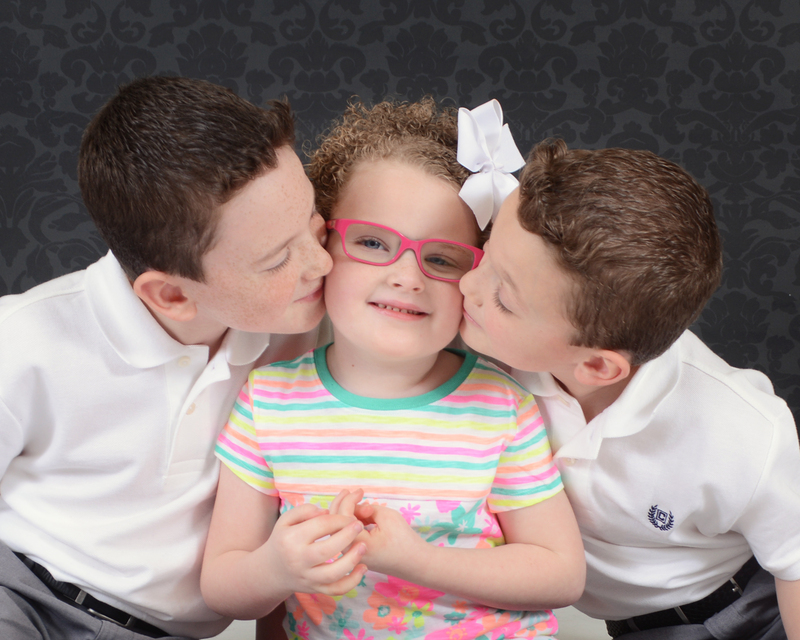 Without going into detail, at the end of the school year, the day we had our final meeting with her teachers, therapists and school director, it was very clear to us that we needed a better fit for Claire. They made some decisions that completely blindsided us, and these decisions would set Claire back even further in her educational development. Claire went into the 2013-2014 school year with a love of learning and excitement to attend. She ended the year with a crushed spirit, low confidence level, and increased behavioral issues. Instead of progressing throughout this year, she regressed. After hours of advocating, multiple meetings and numerous attempts to help Claire and the school throughout the school year, the meeting that we had at the end of the school year helped me realize that in order for anything to get better for Claire, both parties need to want what’s best for Claire. It became very clear that in this school, in this environment, Claire would never progress, only continue to regress. I left that meeting with tears of anger, frustration and exhaustion. I tried everything to make this work for Claire at this particular school. I was angry that all of it was for nothing. (Hindsight is always 20/20: I now realize it was the best thing that could have happened.) I was angry that this school made decisions that didn’t include our input (and they should have) and this was my final data point that I needed to realize I was done here. I told Sean after leaving that meeting that day that I refused to put her back into that program when school started in the Fall. No way. But what were my other options? I instantly went into “school OCD mode.” I needed to find a place that would help fix her behavioral issues, help rebuild her spirit and bring her confidence back. 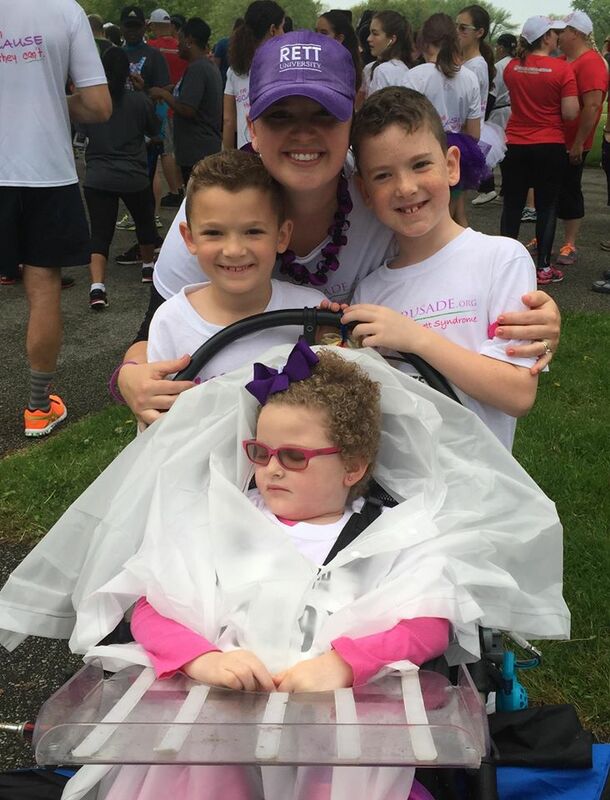 I needed to find an environment where they truly wanted what was best for Claire, and in doing so, would be open and willing to learn about Rett Syndrome to understand how there is a certain way to go about teaching a child with Rett. There are things to do and strategies to try, and there are approaches in which you definitely want to stay away from. Most importantly, I need to find a place where the people who are working with Claire would be willing to work with me and practice open communication because this is truthfully the only way it could work. (I recently had to contact her old school for a number of things because her IEP is still through that administration. Three months later, and after numerous attempts at trying to get resolution on certain items from them, I have yet to receive returned phonecalls and/or emails, etc. I’m speechless that this is okay. No child left behind, according to IDEA (Individuals with Disabilities Education Act)? Interesting. Okay, enough of this subject… I need to move on. I was looking for a group of people who would believe in Claire’s potential, presume competence, and help bring her forward to the next level by challenging her. If not, as we’ve seen in the past, she will get bored, frustrated and shut down. She knows when people believe in her. She definitely knows when people do not believe in her, question her intelligence, or just have an overall negative attitude or little patience (which isn’t good when working especially with a child with apraxia). 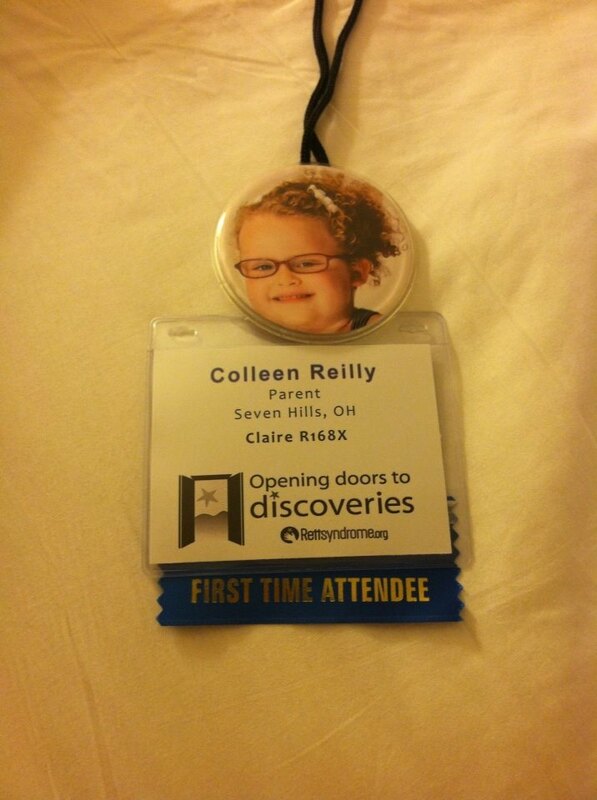 A month after her school year ended, I went to Washington D.C. for a National Rett Conference for a few days. It was amazing. 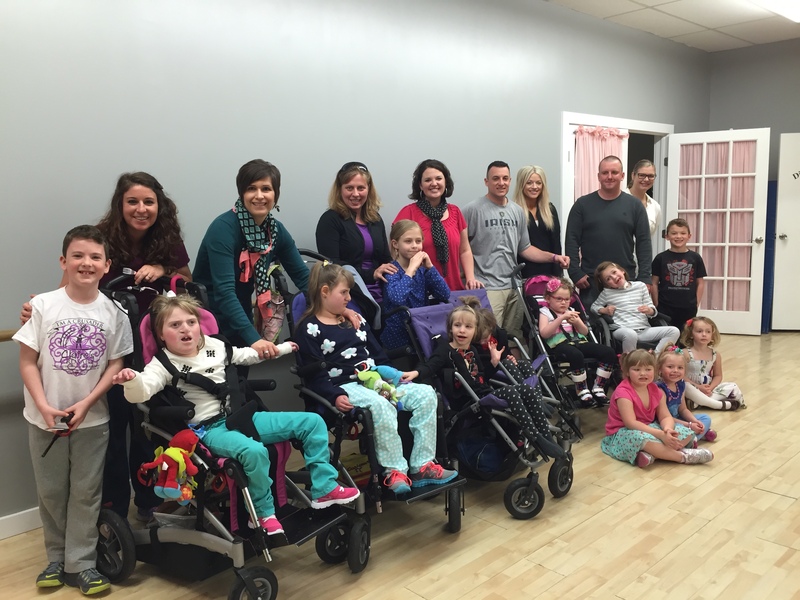 I was surrounded by Rett scientists, Rett doctors, Rett families, and educational and communication Rett experts. I went there knowing 1 other family. I left there with having made lifelong friends and connections. I was surrounded in an environment where instead of hearing “She can’t do this… or she can’t learn this… or she doesn’t know this or that, etc.”, I heard “she CAN. They CAN. There is a way. Here’s what worked for us. Here’s what YOU need to do to help your daughter. We understand. We are in the same boat. Never give up in your fight in getting her the education she deserves.” Attending this conference was the absolutely best thing I could have done. I was home. It was emotional. It was absolutely wonderful. It gave me hope. 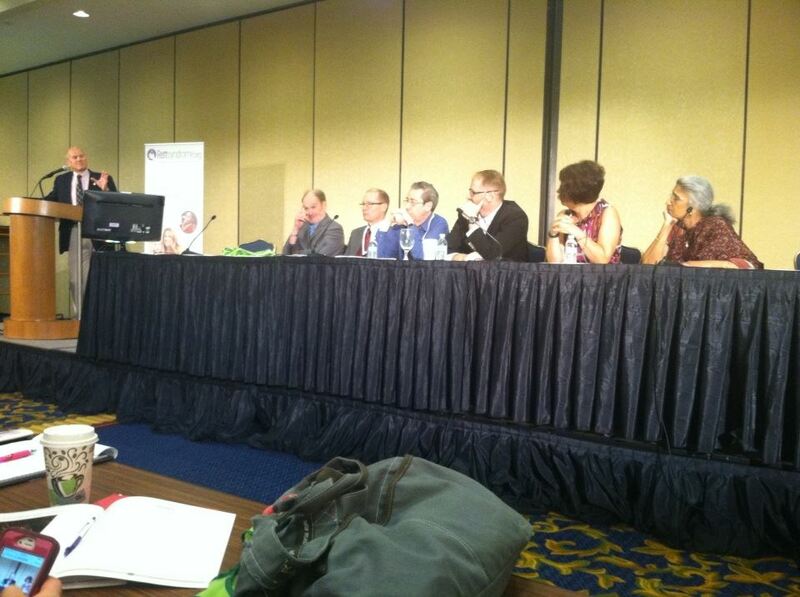 Rett doctors and scientists sharing a lot of great information, including the updates on numerous Rett clinical trials. 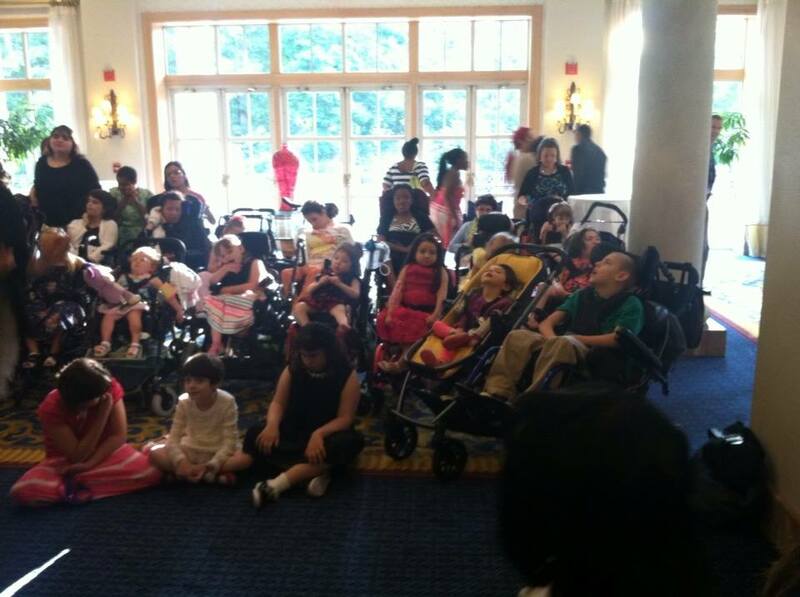 All of the Rett children and adults who attended the National Rett Conference. 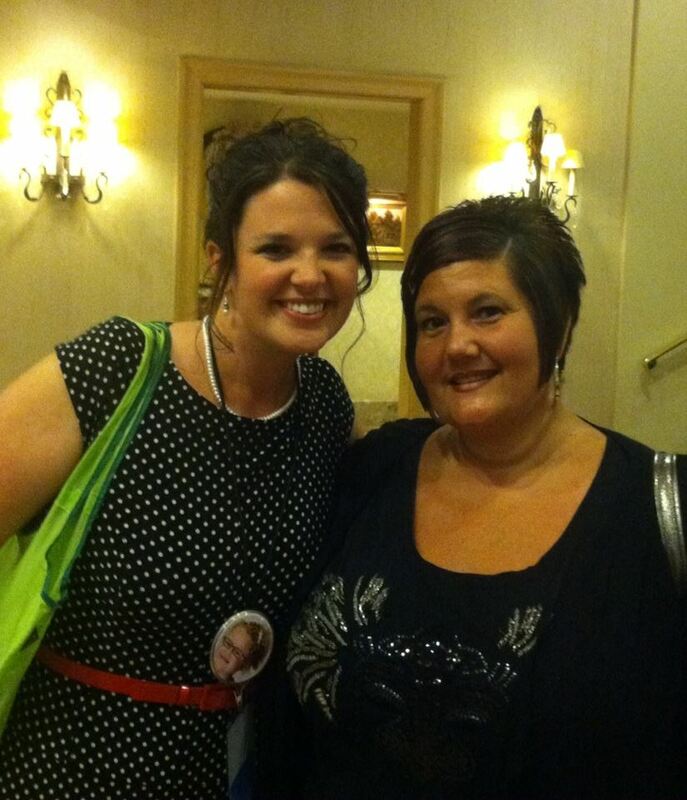 Finally meeting Jennifer (another Rett mom) in person. 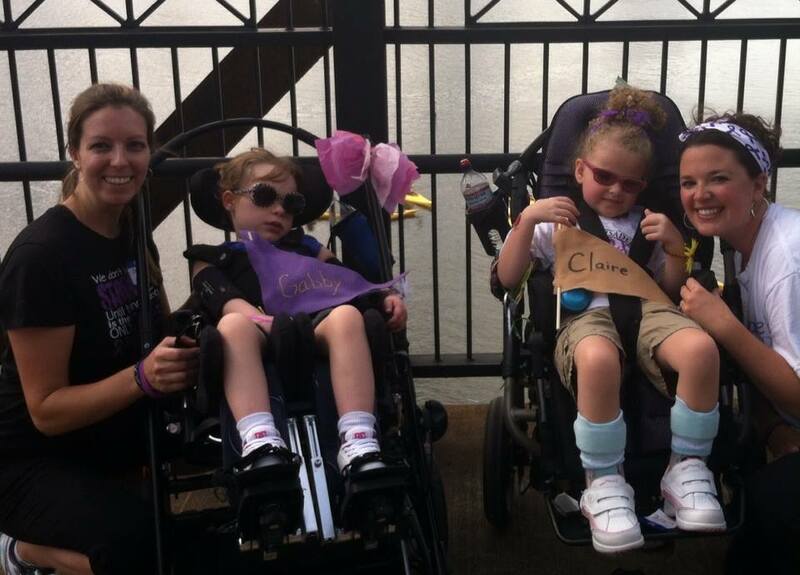 Jennifer was the one who reached out to me when she learned Claire was diagnosed. Proudly wore this around my neck all throughout the conference. Having fun with Kim at the conference. Kim organized the Cleveland Blue Sky Rett event and did an amazing job! 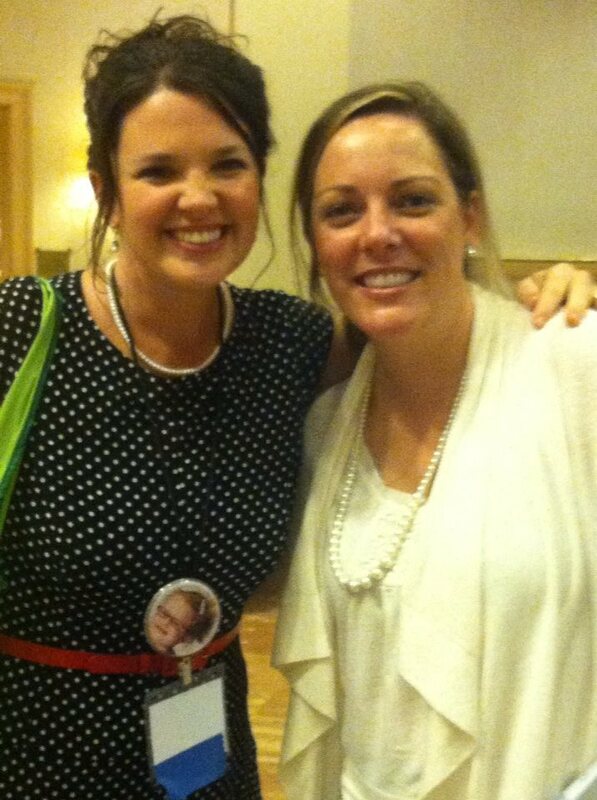 Loved being with the other Rett moms! The dynamic duo: Susan Norwell and Judy Lariviere, presenting “Tots to Ladies Communication and Learning.” It was an amazing presentation. Attending that conference also gave me much insight. It gave me the spark and confidence that I needed to continue on with my advocacy and fight in getting Claire into an appropriate learning environment. I was able to see what other families nationwide were doing with their daughters and how well their daughters, same age as Claire, same diagnosis, same challenges, were progressing. Being there reiterated what I knew in my heart: her environment at home needed to change. I left the conference with having had learned additional tools to implement into Claire’s educational program, knowing what was acceptable and what was not. I left the conference extremely thankful for having experienced what I did. My number one goal for Claire is to learn to read. This will unlock the world she, until there is a cure, will be forever trapped in. Teaching her to read and write is something that CAN be done with our Rett girls. I want Claire around people who want this for Claire, believe in this, and will be willing to overcome whatever obstacles that arise to get her there. Since the conference, we were so lucky to have a world renown Rett educator, Susan Norwell (whom I met at the Washington DC conference), come to our house for a couple of days and work directly with Claire, Claire’s homeschool teacher, and Claire’s speech therapists. 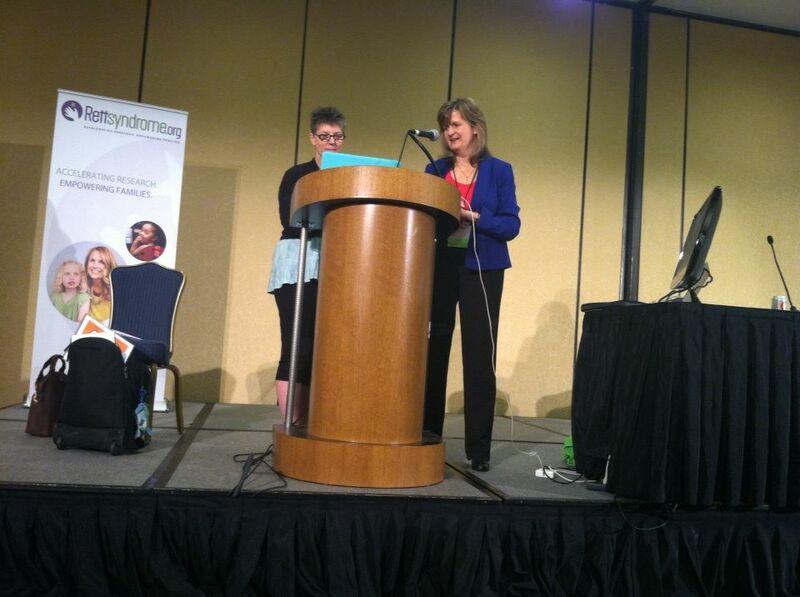 Then, a few months later, I flew to Florida to attend a Rett University workshop, given by Susan, to pick up on additional tips and techniques that we weren’t able to cover while Susan was at our house. The gist of what we went through can be found at: http://www.rett-u.org/index_GAA5.html. Susan Norwell working 1:1 with Claire at home. Susan teaching the boys how to better interact with Claire throughout regular “play” activities. Working hard but having fun. Claire came a long way from where she was a year ago when she finished her first year of preschool. She attended an individualized school program (at home) that helped her deal with some of the behavioral issues she faced, while also going through a Pre-Kindergarten curriculum and trying to incorporate what we learned from Susan and Rett University. Now, she is primarily attending a school, similar in form, however, outside the home with peers. We have ways to go and still face challenges, but that will always be the constant. What is the best update I can give you today, is that her spirit is back along with her love for learning… maybe not totally, but a huge improvement from this time last year. This month of June marks 4 years since we received Claire’s diagnosis… June 22nd to be exact. Claire has turned into quite the little lady. She got her ears pierced, is getting her 6 year molars (and her bottom teeth are loose, according to her dentist), and got a stylish new chic hairdo. She loves getting her nails painted, we had a blast going to “Frozen on Ice” and she had an incredible 5th birthday music and dance party. Her smile continues to light up the room, as does her big bright blue eyes. Her laugh continues to warm our hearts each and everyday. We love you, Bear! Ears are pierced and Claire’s new haircut. 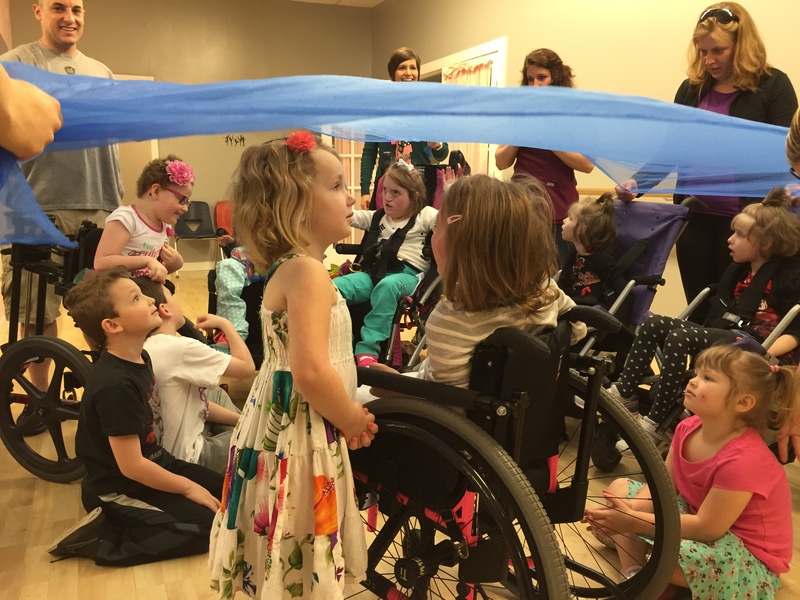 Claire’s 5th birthday : adapted dance and music party. Sleeping while getting her nails done… someone is enjoying spa time! Enjoying Disney’s Frozen on Ice! The kids and I walked in the Cleveland Rite Aid 5K, representing Claire’s Crusade. 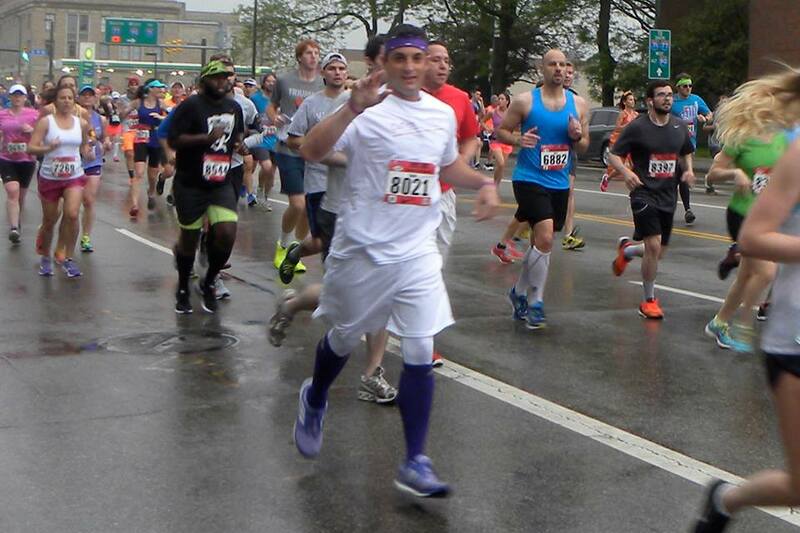 Sean running his first 1/2 marathon for Claire’s Crusade.